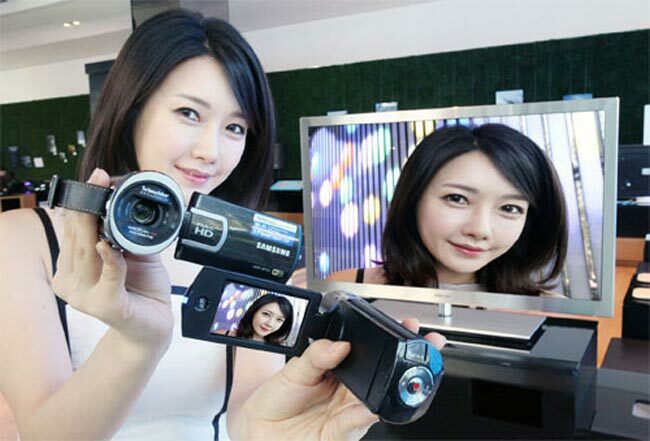 Samsung has launched a new camcorder in South Korea, the Samsung HX-QF20, which comes with a range of new features over the previous model, including an enhanced switch grip function. The Samsung HMX-QF20 feature built in WiFi, plus an accelerometer than can automatically adjust the menu depending in which hand you are holding the device or if you are holding it vertically. It is capable of recording HD video in 1080-i and comes with a Schneider-KREUZNACH that has 20x optical zoom and 40x digital zoom, it also feature a 5 megapixel backside illuminated 5 megapixel sensor for taking photos. Other features include optical image stabilization, and a 2.7 inch touchscreen display, it will go on sale in South Korea for 449, Won which works out at around $395.